Prof.dra. Fatma Lestari is one of Indonesia’s leading academics in the disaster management field, with her particular interest in chemical safety and toxicology allowing her to provide specific insight into the recent the ASEAN Regional Disaster Emergency Response Simulation Exercise (ARDEX-18) held in Cilegon, West Java, that included a scenario on the effect of hazardous materials (hazmat) during disasters. During the preparation of ARDEX-18, The Column caught up with Prof.dra. Fatma, to gain her unique insight on matters such as hazmat, gender empowerment, and community preparedness in the ASEAN disaster management field. Prof.dra. Fatma has developed her disaster management portfolio working across a range of programmes and activities in the region, now working as a lecturer and researcher in the University of Indonesia’s Department of Occupational Health and Safety, under the Faculty of Public Health. 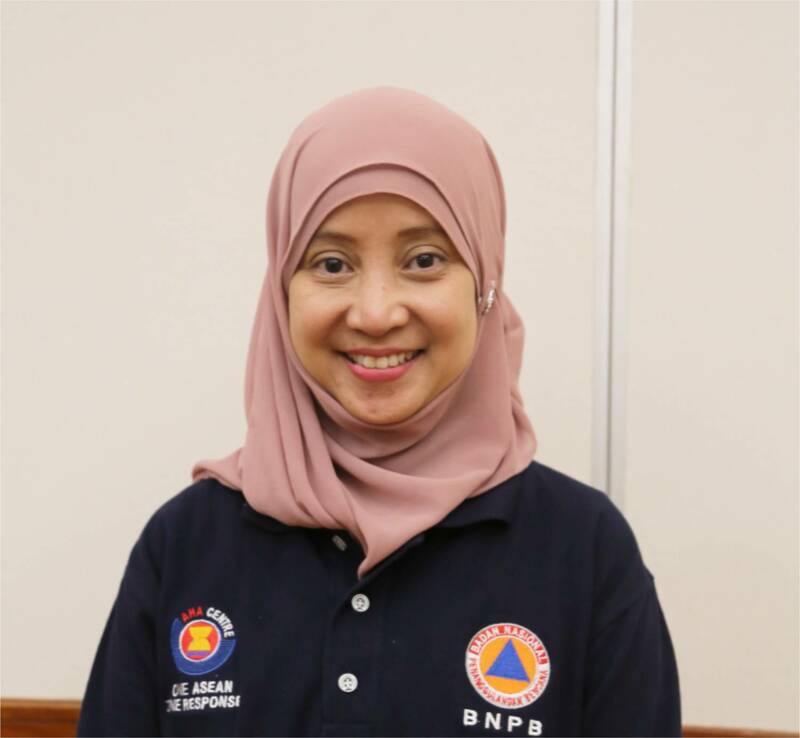 She began her work with the university in 1995, engaging directly with the Government of Indonesia on industrial emergency response and preparedness measures. With a background in chemistry, Prof.dra. Fatma reminds us of the importance of the hazmat element within disaster response by stating “In our country, oil and gas industries are one of the major industries that contribute to the Indonesian energy. They face many challenges – one which is emergency response”. It is the expansion and development of industry that adds to the risk, Prof.dra. Fatma states, not only in Indonesia but across the region and the rest of the world. Its proximity with the natural environment, alongside local communities, requires strong engagement to develop knowledge and preparedness mechanisms to avoid disastrous outcomes for the region’s people. Prof.dra. Fatma talks of recent efforts to work with communities on disaster preparedness and response at a local level, through a programme known as Kampung Tanggap Bencana (disaster prepared villages). “We provide them with the knowledge such as first aid, how to move victims from the disaster site to a safe zone – it focuses on community participation”, she explains. Prof.dra. Fatma highlights the importance of such programmes across the region, and ensuring they are implemented across a number of mediums, including local government, community centres and local schools. Linked heavily within such community-based efforts is the role of women in disaster management. As Prof.dra. Fatma notes, “We need to empower more females, because once their knowledge improves, they can teach their children, as mothers are the primary teachers in the home in Indonesian society”. Empowerment is also strategic for information sharing within communities between women, as women tend to have their own forums and methods for engaging deeply within their communities – an element that must be utilised for stronger and more resilient local villages. “If women’s knowledge on disaster management is increased, they can become great leaders in their communities”.